We are about 2 weeks away from the offseason and as a Red Sox fan, you'll probably be sick of the word "ace" in about 2 weeks and 1 day (if you're not already sick of it). But as we do need that horse in the front of the rotation, nobody is focusing enough on the bullpen. A strong rotation would help this team, but without a bullpen to back it up it won't help much. If you are watching this postseason, you see teams like the Royals who are carried by their bullpen. They are happy having their starters hit 5 innings because of the strength in their pen. Last year the bullpen relied on guys like Tommy Layne, Alex Ogando, Junichi Tazawa, Robbie Ross, Craig Breslow and Koji Uehara. You probably cringed a little reading some of those names. The Red Sox used those 6 guys along with 12 others in relief last season. They combined to post a 4.24 ERA that ranked 26th in the majors. Acquiring bullpen talent was never Dombrowski's strength in Detroit, and might have cost them a World Series or two. Could Dombrowski learn from his mistakes? Lets hope so. Here is my bullpen prediction for 2016, and from this point on, you won't see the word "ace" in this article. Although Dombrowski's bullpens have never been solid, he recognizes that there needs to be power at the back end of the bullpen. While in Detroit he signed big names like Todd Jones, Joaquin Benoit, Joe Nathan and Jose Valverde to big deals. None of them really paid off except for Benoit. As the Reds had another pitiful season, they dumped Cueto at the deadline and look to be headed to a rebuild. 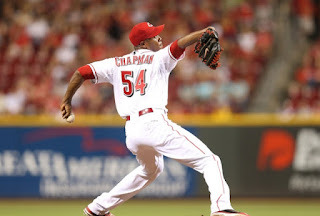 Dombrowski will waist little time acquiring the 4x All-Star closer when the Reds make him available. The value sent back to Cincinnati won't be cheap, but it will be well worth it to have the 27 year who has thrown the fastest baseball in MLB history, closing out games for the Sox. While right now Koji is our closer, that probably won't stick. Koji has told the Red Sox he feels comfortable closing this season, but he'll be 41 shortly coming off a fractured wrist. But before the injury, Koji was putting together a strong season. He had a 2.23 ERA while converting 25 of 27 saves. Koji's splitter would be a thing of beauty in the eight, especially while Chapman warms up for the 9th. Tazawa struggled at the end of the year, but he still is a reliable pitcher in this pen. The 29 year old won't have to worry about workload this season as he won't be in the set-up position. Expect Tazawa to be back to his usual self in the 2016 season. This is a name I've mentioned multiple times when talking about retooling this Red Sox bullpen. The Red Sox need some left handed relievers, and Furbush should be the guy to go get. 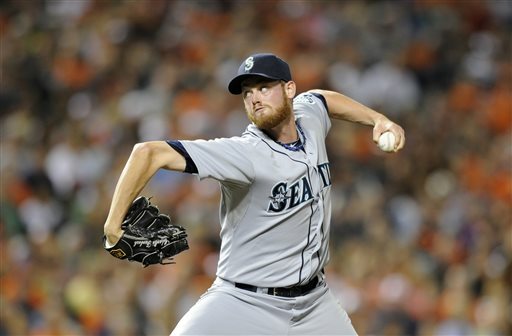 Furbush, currently on Seattle, missed most of this season with a rotator cuff tear. So now might be the time to go get him. When Furbush has played, he has been a solid reliever. Left handed hitters have had a .484 OPS against him, which ranks 6th out of all left handed hitters since the 2014 season. Ross is one of the few lefty's the Sox have in their bullpen at the moment. When Tazawa was shut down this season and Koji was on the DL, Ross was given the ball in the 9th, and he performed. He lowered his ERA to 3.86 while picking up 6 saves. Hopefully Ross can continue that success into 2016. Picking the last spot in the bullpen is difficult, as they're several guys who could take the spot. Already having three lefty's, I see the Sox converting Joe Kelly into a reliever, who pitched brilliantly over the last month or two of the season. Although our pitching staff isn't very good, its quite crowded with a lot of 3,4 and 5 starters which could lead to Kelly getting bumped to the pen, if not traded. We will have to wait and see how much Dombrowski helps this bullpen, but I think it might be the biggest concern on this team. Without some upgrades to this bullpen, the Sox won't be going anywhere in 2016. Your move Dombrowski.